There are many appetizer recipes easy to make in a slow cooker. 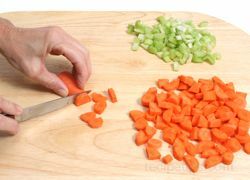 You can also try adapting a conventional appetizer recipe for using a slow cooker. Cooking chicken drummies is one example of a conventional appetizer that is easily adapted into a slow cooker recipe. 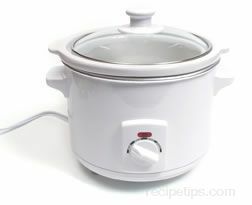 The use of a slow cooker is perfect for cooking and serving slow cooking appetizer recipes. 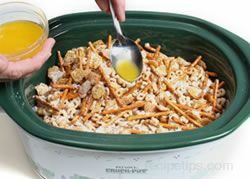 Cooking appetizers in a slow cooker allows them to cook while you are busy doing other tasks; and then when it is time to serve them, they can be kept in the slow cooker to keep them warm. 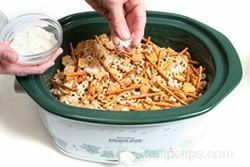 Because the appetizer is kept at a safe temperature in the slow cooker it can set out for extended periods of time without worrying that it is in an unsafe temperature zone. Rinse chicken drummies under cold water and dry with a paper towel. 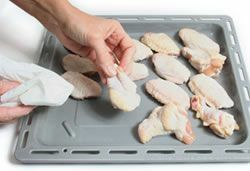 Place the drummies on a broiler pan, allowing space between each. Preheat the broiler. 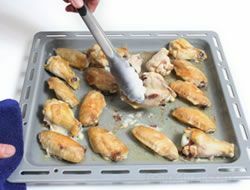 Place the broiler pan under the broiler so that the chicken drummies are approximately 6 inches from the heat. Broil for 9 or 10 minutes, until drummies are nicely browned. 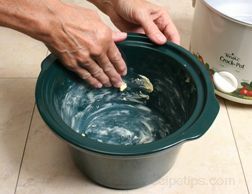 Turn several times so that the drummies brown evenly. 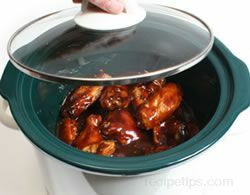 After broiling, place the drummies in a 3 quart slow cooker. 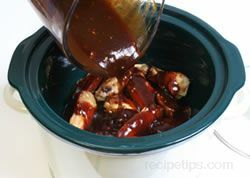 Mix the barbecue sauce, chili sauce, honey, garlic, and pepper in a bowl and then pour over the chicken drummies in the slow cooker. 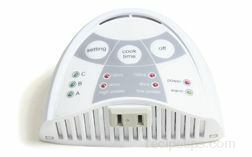 Place the cover on the slow cooker, turn it on low and cook for 4 to 5 hours, or turn on high for 1 hour and then turn it down and cook for 2 to 3 hours on low. 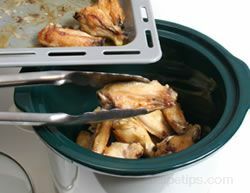 Check for doneness and then leave the chicken drummies appetizer in the slow cooker to keep them warm while serving. 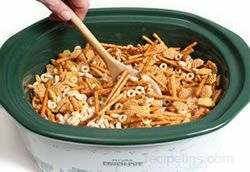 Mix the pretzels, cereal and nuts in the crock of a 5 quart slow cooker. Stir to distribute evenly. 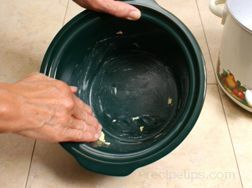 Mix the garlic salt, celery salt and cheese together in a small bowl. 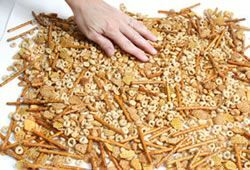 Sprinkle evenly over pretzel and cereal mixture. Drizzle the melted butter evenly over all ingredients. 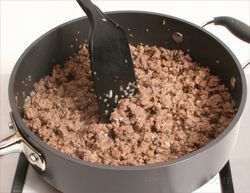 Stir to distribute the seasoning and butter throughout. 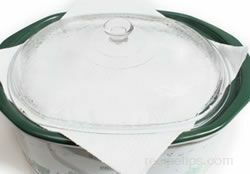 Place a couple of paper towels over the top of the slow cooker and place the cover on top. 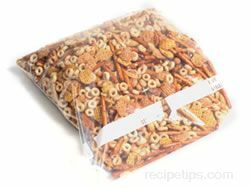 The paper towels will catch the moisture that develops and help to keep the party mix crisp. Cook on low for 3 to 4 hours. Remove the cover and cook for an additional 30 minutes. 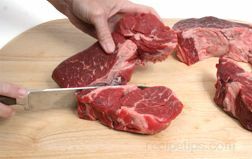 After it has cooked for an additional 30 minutes, pour out on paper towels and allow to cool before serving. 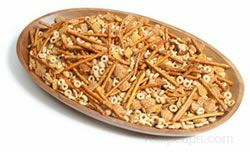 Place the party mix in a large basket or bowl for serving. 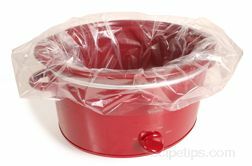 If not serving immediately, store the appetizer in a sealable bag or airtight container. 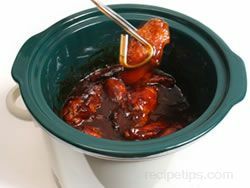 "I made wings for a New Year's Eve party using this recipe and information. They were great and easy to make. 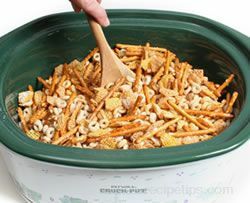 I am going to make them again for the Super Bowl party I am going to."